Heavy, murky clouds were covering the sky, as always, over Haunted Woods. It was almost night and the moon had risen. It shed a frail stream of light that bathed the ground in speckled patches, although the heavy clouds and the thick mist that was starting to creep out blocked most of it. On a little path that lead trough a small part of the woods, a lone figure was cautiously making its way home. It was a skeith; she was very skinny, and looked both tired and torn down. Her skin was sickly pale green, and she was wearing a rather unusual set of clothes, which included a strange little cap. The creature was forcefully dragging a shovel behind her, which left a trail in the dirt on the ground. 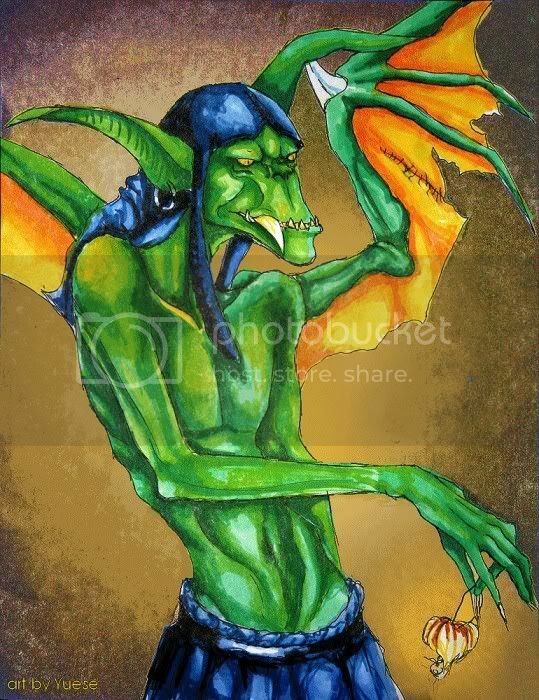 This skeiths name was Zibius. Zibius worked at the local cemetery as a gravedigger, and she knew perfectly well that the Haunted Wood's graveyards were not a gentle place to hang around at night. But it turned out that she needed to stay longer today, in order to finish off a grave, and it was now long past evening. 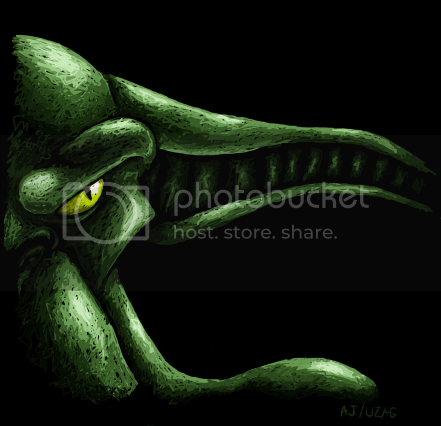 With her intensively lime colored eyes, the skeith stared out into the dark woods around her with fear. Nothing was to be seen, but she knew that They were there. She could hear Them move over the old leaves and dead braches that covered the surrounding woods floor. 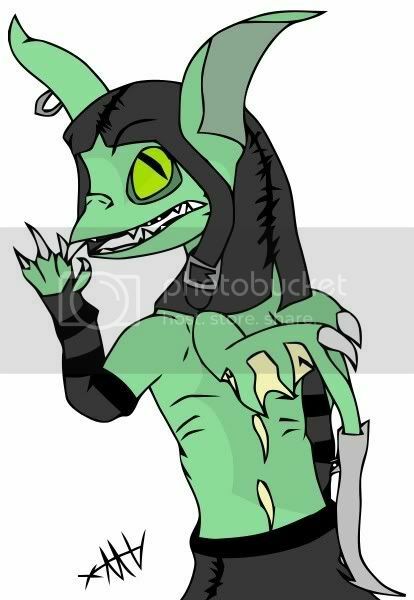 -No, no... the scrawny skeith whispered to herself and started to tremble; it was too late. She knew that she would never make it home before They would strike. Suddenly a pair of perfectly round eyes appeared out of nowhere in the darkness. Eyes glew with a pale green light as they reflected the shaded moonlight. Then another pair of eyes appeared. Zibius shivered. She knew who the eyes belonged to; meepits. And not any meepits, no, she had met them before. Quite a few times actually. Zibius hastened her steps, but so did her meepits. Maybe thirteen pair of eyes had now appeared, eyes that followed their chosen victim with great care. Suddenly they quietly went to attack, all at the same time. 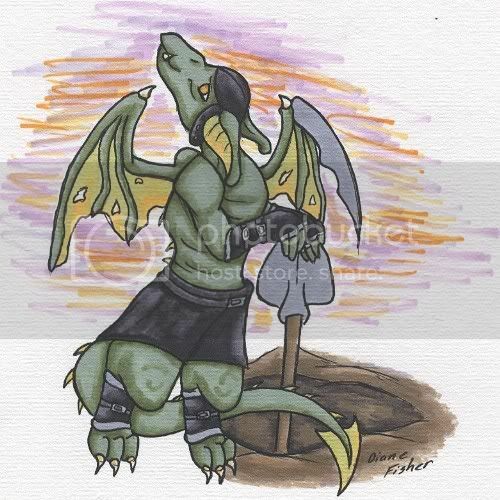 With a hissing breath, Zibius hardened the grasp around her shovel and wildly started to aimlessly fling it around, trying to fend off the little petpets. It didn't work. It even seamed to trigger the meepits to try even harder as their attempts to reach the skeith became more and more daring. It didn't take long before a meepit came close enough to dig its teeth into Zibius tail. 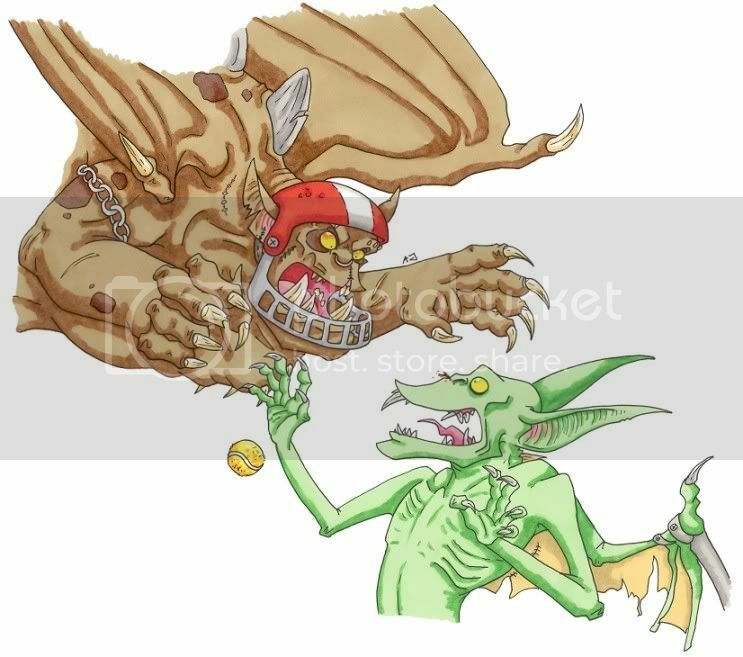 The skinny skeith uttered a shout of pain and lost her focus, and in the next second another meepit had managed to pull down the skeith's cap over her eyes. With shock and confusion, Zibius fell to the ground with a cry filled with despair. The meepits loudly cheered over this grand victory while they eagerly continued their harassment. Zibius helplessly yelped, and she knew that none would rescue her today either. After just a few seconds that had felt like hours to Zibius, she gathered her guts, tried to ignore the pain and pulled back her cap. Then the skeith forced herself up on the feet and started to run. The meepits abruptly followed with aggressive and frustrated squeaks. It didn't take long before Zibius' home was in sight; it was a small and wooden hovel with barricaded windows. The colour of the house had long ago faded away and the wood had started to crack and become full of splinters. But this view encouraged Zibius, and she pushed herself harder and soon she reached the house. The thin skeith threw herself at the front door, rapidly pulled it open and rushed in. Rip, Rip! The meepits... they're here again!" Zibius hysterically screamed and slammed the door behind her. Rip was Zibius friend. He just calmly sat still on the floor and didn't utter a sound. We need... barricades!" Zibius hissed. She quickly scanned the room and decided that the kitchen table would have to do. With all her might, the bony skeith managed to push the old table across the room and place it in front of the door. Then the meepits started to bang on the door. Go away!" Zibius chirped and crouched on the floor with her hand over the head. 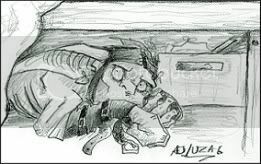 Quite surprised, the skeith sneaked over to one of the barred windows and peeked out trough a tiny gap between two of the wooden planks that covered the -blocked- A meepit on the outside stared right back at her. 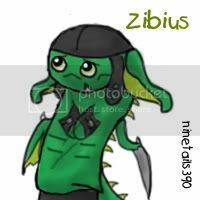 Zibius shuddered and swiftly took a step backwards. It started to bang on the door again. Come Rip, we need to hide..." Zibius desperately said and crawled in under a bed that was standing in a corner of the room. Rip didn't say a thing and neither did he move. 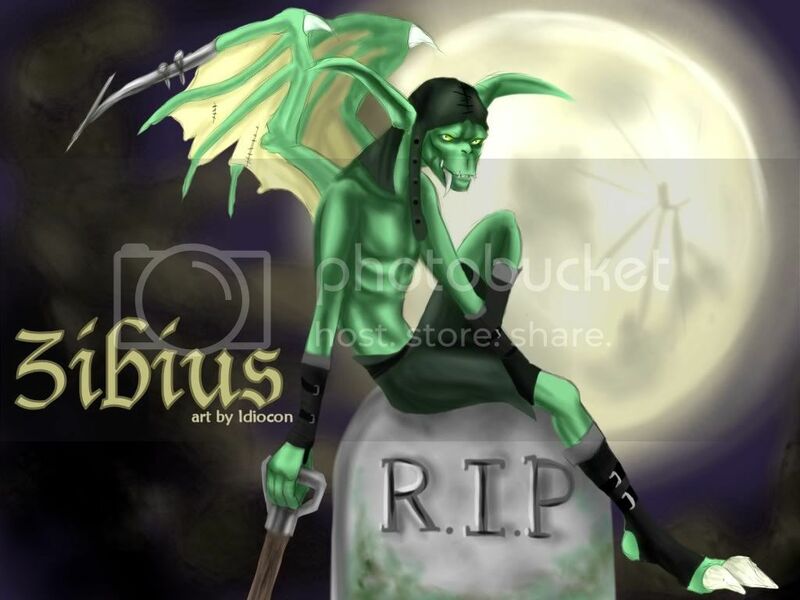 Rip... come now..." Zibius whispered, but Rip refused. Oh, you always have to be so heroic!" Zibius snarled. Rip was silent and Zibius went silent as well. The banging stopped again, but Zibius lay still. She would not let them fool her again! An hour went by and then another. There had been no signs of any meepits. I... I think they're gone..." Zibius stated and carefully crawled out from her hiding place. She quietly walked over to one of the windows and was just going to peer out but changed her mind; if they still was out there, it just wouldn't be worth to have to get in eye contact with another meepit! Zibius dropped down on the floor with a sigh of relief. She stared at Rip. He was still just sitting there, right in the middle of the floor. That was really close... and you weren't afraid at all! How can you be so calm?" 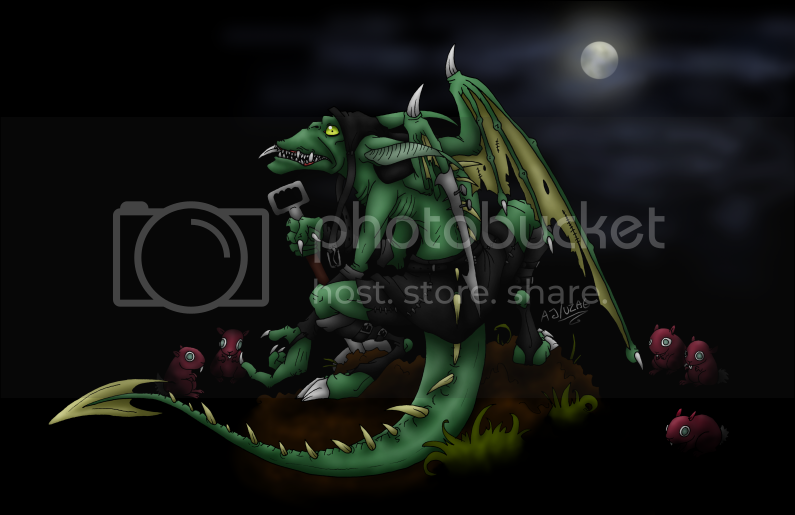 Zibius said with amazement with a tint of envy to Rip, and then she tiptoed to him and sat down. You're so brave", Zibius told him, with a kindly pet. 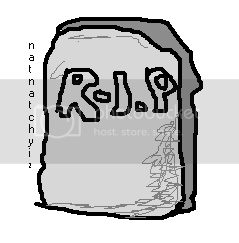 But then, Rip was just an abandoned, but unused, gravestone, and it really wasn't in the nature of tombstones to move or speak. Zibius has always been a bit quirky and hard to communicate with. Mostly she just has a very... unusual idea of logic and a nonsense view of reality, so she tends to come up with the strangest of ideas. Ideas that are perfectly correct in her world, but that don't make much sense to others. As she has a hard time to predict what her actions may result in, Zibius can get dangerous. On top of that it's hard to know how she will react to things; for example, she can suddenly start to hatefully glare at you for mentioning soap. She's extremely anxious too, on the edge of being mentally instable, and always on guard. The slightest sound can make her become absolutely alert and ready to run or fight. She tends to helplessly curl up or cling onto things a lot too... including, for example, others legs. One of her true fear is meepits and no wonder; Zibius is constantly harassed by a pack of about thirteen meepits which often gang up on Zibius, taunting her and stealing her equipment. Zibius is always eager to socialize, but sadly with her quite big array of various peculiarities, she tend repel others. But she is a very faithful and naive skeith who will stick to anyone that she mange to befriend; she always put her full trust in anybody and believes everything she's told. Unfortunately, this also makes her a very vulnerable target to scammers or other ones who just want to take advantage of such loyalty. In order to aid the constant lack of friends, Zibius befriended an old but yet unused gravestone. The only text that had been filled in was R.I.P, so Zibus supposed that it was the rocks initials. She only call it Rip however, as the rock still hasn't told her what the letters stand for... Nevertheless, Zibius tend to speak to other non-living objects as well. Zibius started out just fine, but at a young age she became an orphan and she ended up going through several homes in a rather short period of time. Zibius has always been a bit quirky, but this constant change of parents and living places made her become a bit... anxious. Nevertheless, she soon ended up with a "stepuncle" known as "Doc". This event was rather unfortunate for both of them as Doc really hated kids! 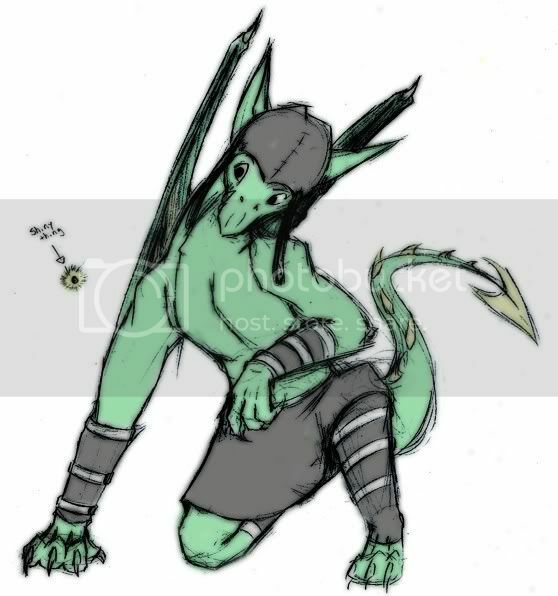 To make things even harder for her uncle, Zibius was a very playful and inventive youngster and often ended up doing mischief even if she didn't mean to. But despite all this, her uncle really did his best to love and raise Zibius. Often it didn't go very well, but sometimes the two happily got a long. As Zibius grew up, Doc helped her to get a job and a home... Well, it maybe wasn't the fanciest of jobs, a gravedigger in Haunted Woods, and the home was more of shack. It was really lonely too, for obvious reasons not many lived around the graveyard. Her uncle often visited her, as well as she visiting him, but it wasn't enough... And, due to the lack of people, Zibius started to talk to inanimate objects and Haunted Woods, being a pretty scary place, also made her nervousness become more severe. 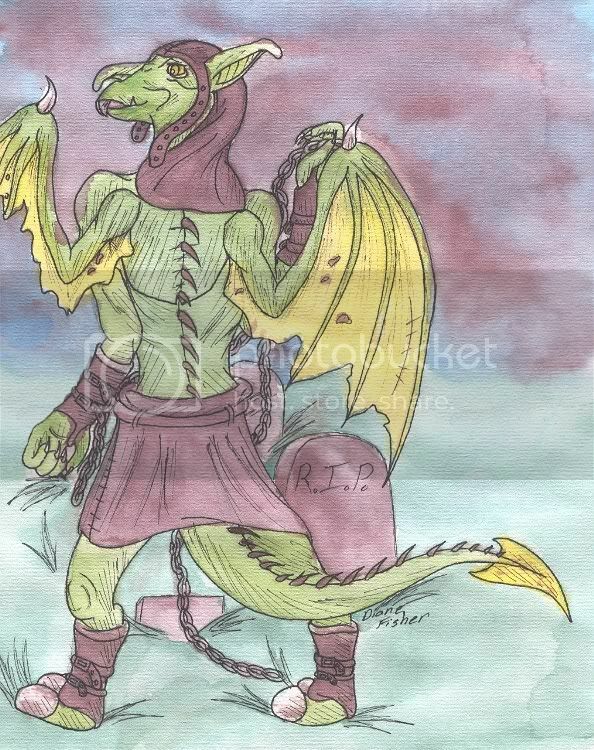 The young skeith also ended up having an accident where her wings got badly hurt. As her uncles nickname hints, he's a doctor. Well, sort of at least... He did a bold attempt to heal Zibius wings. It would probably worked out if Zibius, getting sceptic with the new installation, hadn't wrecked this prosthetic before it was finished! This left her wings in an even worse condition, but she refused to let her uncle do anything further about it. 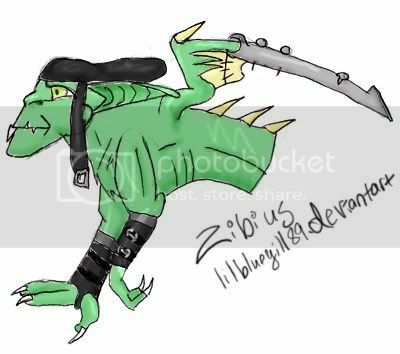 Later Zibius met another skeith named Grimwag. Being unused to strangers, Zibius got excited to have a visitor. 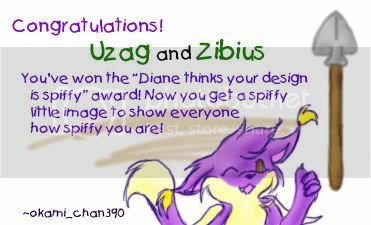 Grimwag, being a very cheerful and friendly person as well as feeling a bit bad for the lonesome skeith, decided to befriend Zibius. Today Zibius hang after Grimwag as often as she can. 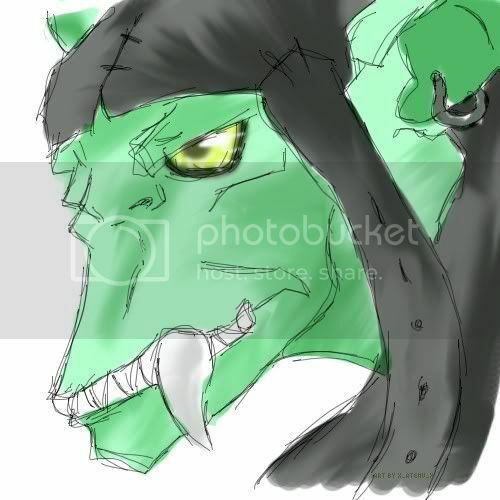 Sometimes it get a bit intense for Grimwag but being patient, Grimwag usually accepts Zibius presence and often invite her to live at her home for periods of time. 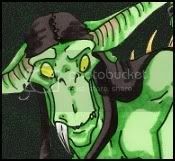 Zibius have a very torn down, tired and pale appearance, with the exception of her constantly alert, staring eyes. She is both skinny and rather petite for being a skeith, but she do have quite strong arms compared to the rest of her scrawny body. Nevertheless, Zibius often appears to be much smaller and fragile then she really is as she as good as always anxiously crouches together. 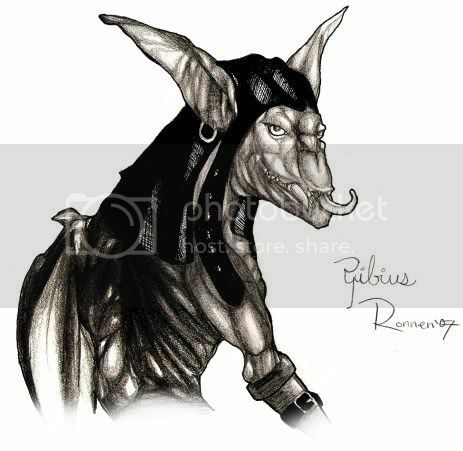 Zibius have some rather unusual features too, including two quite long, floppy ears and a mouth crammed with sharp, disordered teeth. She usually wear a bit remarkable set of clothes, including a most... unusual cap that she proudly claims to have created herself. Both of Zibius wings are torn, and big parts of the left one is missing due to a accident, and has partly been replaced with some metal parts. Zibius only knows about one relative, a stepuncle named -blocked- The two are quite close and Doc is the one who has parented Zibius through most of her live. Otherwise Zibius don't have many contacts as she have a hard time making friends. 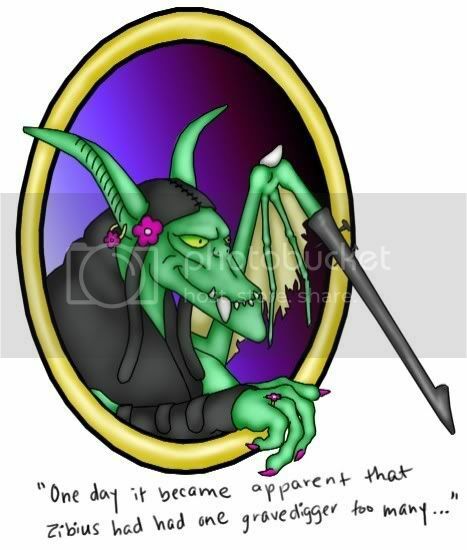 However, one on her closest friends is Grimwag and she has made Zibius meet those that Grimwag know herself. 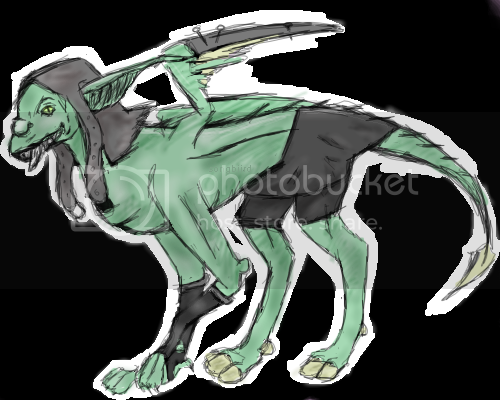 Grimwags stable and cheerful nature tend to have a very calming effect on Zibius, and she is indeed someone who Zibius feel safe around. Grimwag doesn't mind Zibius presence, but she a bit of responsibility to protect and care for Zibius. 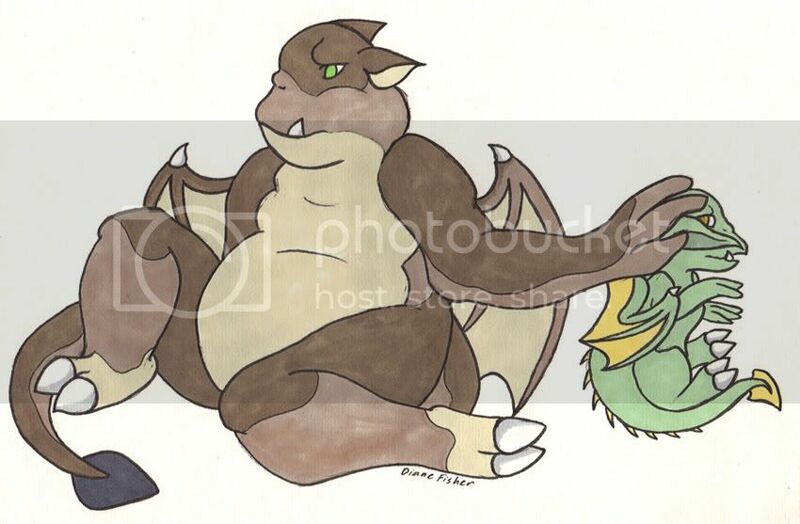 Ymorjay is very gentle little krawk who seem to fully respect Zibius despite her quirks. 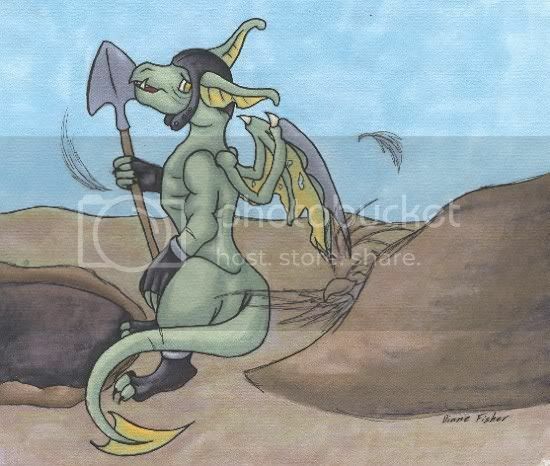 Even thought his spear and warrior occupation worries Zibius, she truly enjoys the kind krawks presence. 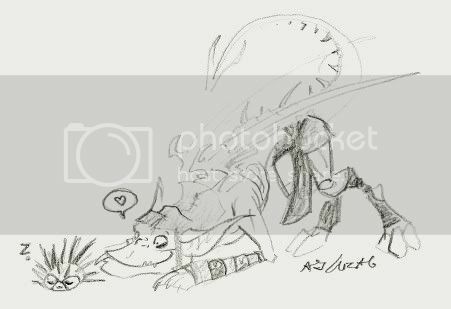 Dorukk is a friend of Grimwag, thus Zibius thinks that Dorukk must be her friend too. Dorukk is rather neutral towards Zibius and not hostile as long as she just minds her own business... Though, Zibius tend to make him lose his temper, something that is pretty hard to archive! Dorukk also like to tease Zibius, and that's something Zibius don't appreciate at all! Zathil is generally unfriendly, but he doesn't mind Zibius. He doesn't have any friendly intentions with this however, he just happen to be cruelly amused by Zibius anxiousness. Sometimes Zibius payback without knowing it thought, doing things that completely get Zathil on his nerves! Nirax is and old and kind lady, but often wear a mask over her face. Zibius is intensely scared of this mask and always flees if she happens to encounter it (no matter if Nirax is wearing it or not). 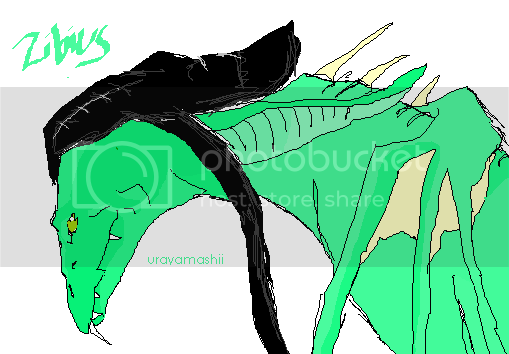 But if Nirax do not wear the mask, Zibius even like the elderly skeiths calming personality. 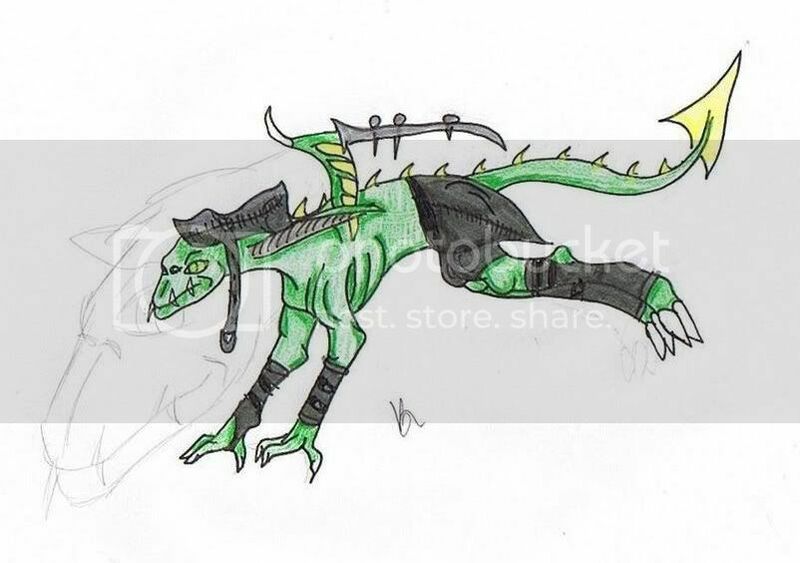 In other words, Zibius consider Nirax and the mask as two different persons. 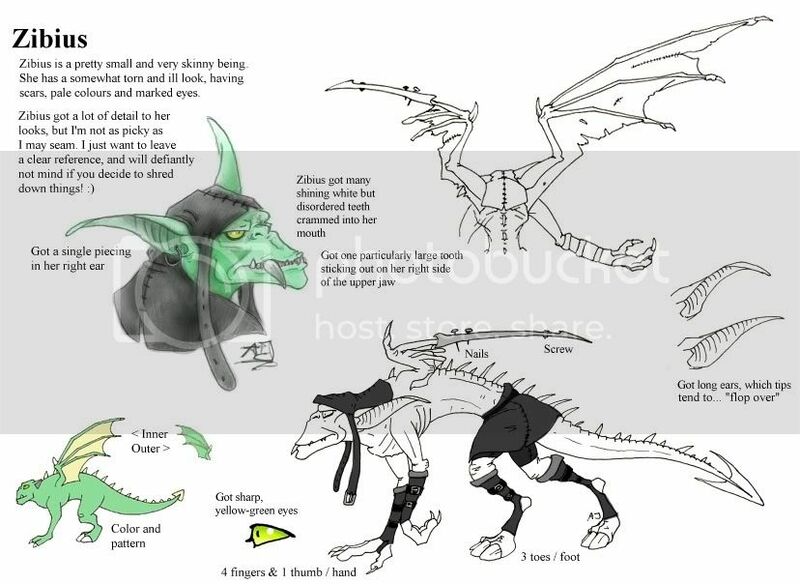 Borzuka is a big and rough brute that may seam fearless but Zibius nearvous behavior often unnerve the enormous skeith. Borzuka reacts with aggression in most situations, including stressful ones, something that may just make Zibius even more alert. Ironically, neither of them ever tries to avoid the other as none want to admit the fear they feel. Taunting is a rather malicious pteri... Zibius hasn't acually seen this him, but she is convinced *he IS there*; Taunting takes on a invisible form during the day and this is something he has used to play cruel tricks on poor Zibius. 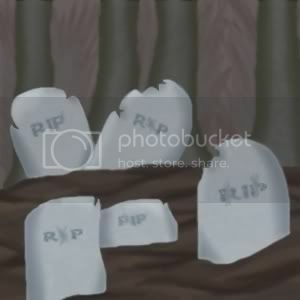 One day when Zibius was doing some clean up work in her working area, she came across an old tombstone covered with moss. Zibius quickly scraped off the moss to see whom the stone belonged to, only to find out that nothing more then R.I.P had been filled in; the tombstone was still unused and had for some reason been discarded (according to Zibius, it was probably because the stone was of "the last years model"). Knowing the feeling of being abandoned and all alone too well, Zibius felt bad for the rock and with quite some effort, she got the stone onto her wheelbarrow and brought it home. There, Zibius gave the rock a bath and wrapped it with a warm blanket. 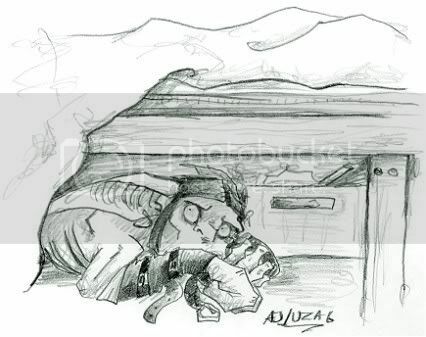 A few days later, Zibius opened the door out of the house and waited for the rock to leave. It didn't. So Zibius decided that it could stay, and in time she befriended the gravestone and started to call "him" Rip. 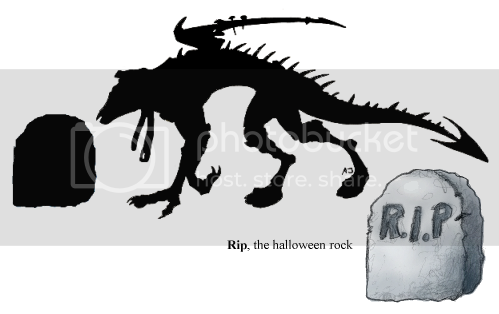 Rip is now one of Zibius bests friends, and she constantly talk to the tombstone if he's around. Not that he ever replies; he's just a piece of rock after all. Rip is rather heavy too, but Zibius still like to bring him with her by moving the rock in a wheelbarrow or cart. Zibius; Hi, I'm Zibius new friend. You can call me sock-buddy. Diane created me... isn't she's awesome? There are many, many other scary things too, like... like darkness, clowns, noise, big crowds, broken glass, bridges, cheese and that old box under my bed. 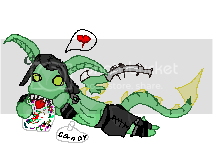 But some things are nice too, I really like small colorful things like marbles, beads and candy. Unless they try to choke me that is. I like puzzles too. Unless the bits try to choke me that is. Soft, cuddly things like plushies and pillows makes me happy. Unless they try to choke me that is. One day I want to learn how to fly. They say it's impossible because my wings are broken, but we can't know unless I try? Maybe if I just try hard enough? Though... I am a bit scared of heights... heights makes Zibius dizzy and very nervous. But it seams wonderful to fly anyways. who really is mean is Borzuka. She's very big and always angry... I don't like her very much, especially not when she's bullying Grimwag! 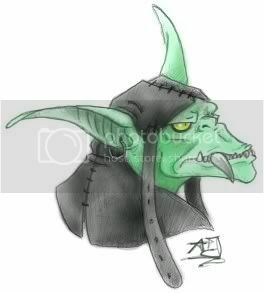 Grimwag says Borzuka is alright, even nice, but I don't agree! Not at all! Grimwag is wrong! Oh, what? It is... time to go? Already? But... I thought we where having fun and and you haven't told me anything about yourself yet! This makes me sad but...it can't be helped I'll guess... Hope you come visit Zibius again... maybe we can be friends? I'll be good. Here's some pictures of Zibius! The artists have their name and a link to their main-account under their art, and thouse without such have been made by me. FAQs about my art can be found here. To view a picture, pull it to your address bar. Here's some adoptables you can put upon your pet pagess! 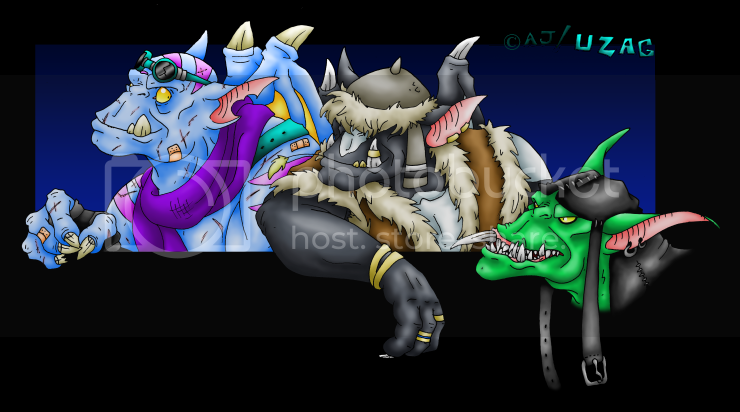 Just copy the url of the adoptable you'd like and add it to your page. Don't forget to link it back to this page.